There are currently no scheduled performances of Symphonic Variations. 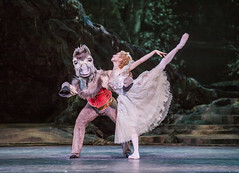 It was last on stage 2–10 June 2017 as part of the Winter 2016/17 season. Ashton was inspired to create a ballet on the four seasons – but as he began to choreograph he refined and purified until the ballet shook off its original meaning, emerging as an abstract celebration of movement and physicality. Symphonic Variations was Frederick Ashton’s first work after returning from his RAF posting during World War II. 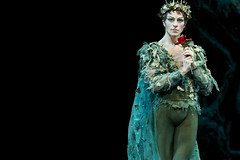 It was one of the Company’s first works for the huge main stage of the Royal Opera House, and Ashton and his designer Sophie Fedorovitch agonized over ways to make sure the ballet would register to the back of the enormous auditorium. The result, first performed on 24 April 1946, became a cornerstone of The Royal Ballet’s repertory and is acclaimed as one of Ashton’s very finest works. The ballet is for just six dancers, who never leave the stage. In perfect response to César Franck’s brooding Variations symphoniques for piano and orchestra, the dancers coalesce in a series of quartets, duets, sextets and solos. 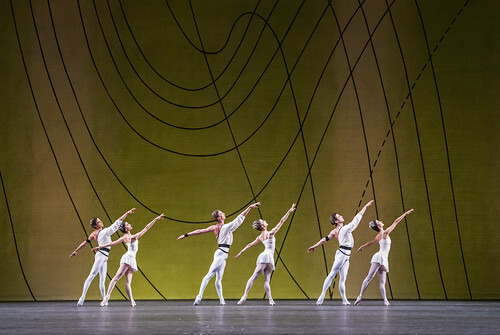 The flow of dancing quickens and slows but retains throughout a sense of serenity and spaciousness – a hint at the mysticism and spirituality Ashton had studied during World War II, and which had a clear impact on his choreography. 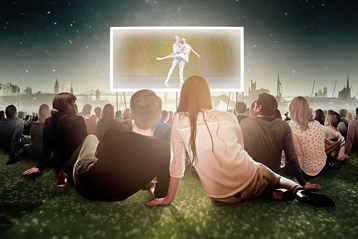 The performance on Wednesday 7 June will be broadcast live and for free to outdoor screens around the UK. Find your nearest free screening.